HARD SPUN (USA) (2004). 7 wins-3 at 2, Saratoga King's Bishop S., Gr.1. Sire of 1055 rnrs, 742 wnrs, 65 SW, inc. Questing, etc. Sire of the dams of SW Good Magic, Danon Smash, Munny Spunt, Souper Tapit, Vow to Recover, Gladyousawme, Lone Rock, Spinning Memories, Zestina, Whateverybodywants, SP Pakhet, Delta Barows, Big Hit, Beach Getaway, Smiling Tigress and of Nonno Alfonso, Idalia's Dream, etc. Make Mine Cash (g. by Dash for Cash). 3 wins at 1350m, 1650m in Aust. Mighty Meerkat (g. by Krupt). Placed to 2018-19 in Aust. She's the Goods (f. by Hidden Dragon). Placed in Aust. STITCHES (Alzao). 2 wins-1 at 2-at 1000m, 1200m, AJC Widden S., L, Matraville H., 3d AJC Zephyr Bay H., STC Bravery 2YO H.
Smart Banker-Best Warrior (Mac.) (Scenic). 5 wins-1 at 2-to 1500m in Aust. and Macau, 2d VATC Rancher H., L, Geelong RC Derby Trial S., L, Macau Race Horse Owners Association Cup, Hong Kong Daily News Jockeys Invitation Cup, Jacksonville H., 3d VATC Blue Diamond Preview, Gr.3, Macau Grey Sovereign H., VATC Clive Leonard H., 4th VATC Vain S., L.
CLUB HOUSE (Genuine). 6 wins from 1200m to 1800m in Macau, Macau Magic Millions Futurity Trophy, L, Macau Guineas, L, 2d Macau Derby, L, Macau Star of the Sand S., 3d Macau Winter Trophy, L, Spring Trophy, L, Jaipur H., Japan Racing Association Trophy, 4th Macau Derby Trial, L.
Tap it In. 6 wins to 1200m, TRC Thorn Lighting H., Brighton Transport Hub H., Hobart Cup Bookings H., TTC Colours Function Room H.-twice, 2d TTC Wendy Kennedy Productions H.
Upper Deck. 2 wins at 1100m, TRC Skania H., 2d TRC Tattersall's H., Kings Carpet Choice Burnie H., Gini's Big'un H., Shorline Hotel H., 3d TRC Hofm Northgate H.
Bantam Weight. 2 wins at 1100m, 1200m, TRC Tote Tasmania H., 2d TRC Green Glory H., Raine & Horne Sorell H., WL Cloak H., 3d TRC WL Cloak H.
Al-Zameel. 7 wins at 1600m, 1950m in Aust. Kaemess (Kenny's Best Pal). 4 wins to 1400m, A$260,750, VRC Moet & Chandon H., Kilmore Trackside Classic H., VATC Forrest H., 2d VATC Tristarc S., Gr.3, Sandown Park UK S., L, Jack Godby P., CD O'Halloran H., Whisked H., MVRC Nurses Night H., 3d VRC Drumstick Gold P., Gr.3, Eugene Gorman H., VATC Sufficient H., 4th VRC Rose of Kingston S., Gr.3, Straight Six H., L. Producer. Shinto. 2 wins at 2, TTC Jackson Motor Company 2YO H., 2d TTC Tote Sport Radio 2YO H., 3d TTC Abel's Tempest H., TRC Centenary H.
Now and Zen. 13 wins from 1400m to 3600m, A$423,058, Oakbank RC Somerled Hurdle, MRC Alannah Hill P., MVRC LF Signs H., MRC (Mornington) Browns Sawdust & Shavings H., 2d Oakbank RC Von Doussa S/chase, Somerled Hurdle, Warrnambool RC Brierly S/chase, SAJC RSL Anzac Appeal H., MRC Le Pine Funerals H., 3d MRC Robert Hunter H., Marathon Series Heat 1 H., MVRC Slickpix H.
Belorum. 7 wins to 1500m, A$185,965, to 2018-19, MVRC TBV Newmarket Grandwest H., 2d MRC Art Series Hotel Group H., 3d MRC Gallagher Bassett VOBIS Gold Mile, MVRC Ranvet H.
Lady Gwendyln. 2 wins at 2, TTC F&W Stewart Silver Ingot 2YO H., Skyy Blue Ladies Day 2YO H., 2d TTC Jackson Motor Company 3YO Cup, 3d TRC Battery Point 2YO H., Knight Frank Real Estate H., TTC Impact Fertilisers H., 4th TTC Gold Sovereign S., L. Producer. Chief Navigator. 2 wins at 2100m in 2018-19, TRC Frothy P., Royston Carr P., 2d TRC Raine & Horne Sorell P., 3d TRC Optimus Health H., TTC Relay for Life H.
FASHION FUN (Arch Sculptor). 3 wins. See above. Penny Florence (Pentire). 5 wins from 1200m to 1600m, NZ$113,250, Manawatu RC Coca Cola H., 2d WRC Thompson H., Gr.3, 3d Counties RC Auckland Thoroughbred Breeders' S., Gr.2, Manawatu Challenge S., Gr.3. Producer. Dress Code (El Moxie). 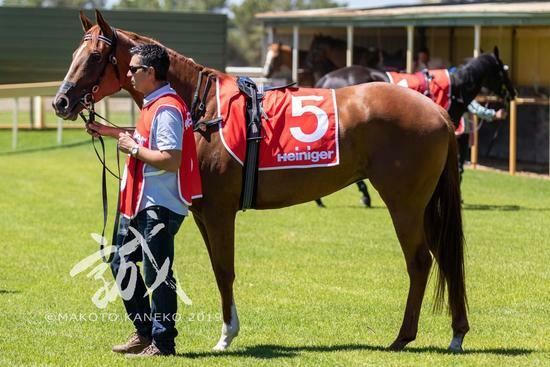 3 wins-2 at 2-to 1400m, A$279,550, SAJC Magic Millions Adelaide 2YO Classic, MVRC Merit Consolidated 2YO P., 3d MRC Debutant S., L, 4th MVRC St Albans S., L.